Home » Technical Libirary » Industry knowledge » What are the problems and how to deal with the piling of steel piles? What are the problems and how to deal with the piling of steel piles? Larsen steel sheet pile construction can not be separated from the steel pile pile driver, steel pile pile only into the pile driver into the effective depth to play the greatest role of Larsen steel sheet pile, so that steel pile pile driver in Larsen steel sheet pile Construction is very important Role, then the following we and the road road pile of engineers together to analyze the steel pile piling machine prone to problems and treatment methods. Reason: steel pile pile pile is not correct, pile tip asymmetry, pile around the soil is disturbed, while hard, while soft and so on. 3、steel piles do not go in. Reason: part of the geological comparison of sticky or hard, pile driver power is too small, resulting in steel pile can not be buried. Treatment: If the geological is relative sticky or hard, you can use the mechanical hole, the soil loose, or take out part of the break, of course, this also has a certain risk, when the pile will be a difficult The pile driver power is too small, you can replace the pile driver. 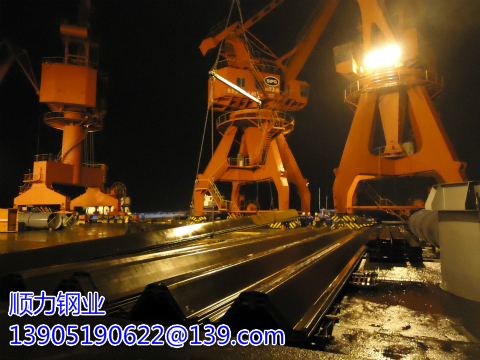 Generally more rigidiences needs 90-120 vibration hammer, if the pile driver can use 450-600 of the machine.